Pinterest is social media’s most popular platform for millions of people to swap images and share their likes and dislikes in cyberspace. If you haven’t set up your own Pinterest boards or optimized your website in order to make it easier for others to pin images from your site to their electronic bulletin boards, you’re missing out on a powerful marketing tool that’s virtually free. At Design & Promote, we can walk you through the process and redesign your website so that it’s “Pinterest Friendly,” allowing visitors to do the work of pinning your services to Pinterest for you. It just doesn’t get much easier! Any time someone comes to your website and sees something they love, they can pin that image to their own board, where others can see it and repost it on their boards. A really great image of a unique or beautiful item can quickly go viral because there are millions of people on Pinterest at any one time. Feel free to pin any of our posts. Virtually any image can be pinned, but only the best images – those that are memorable, colourful and enticing – usually make it to Pinterest. To maximize the chances of your photos being posted, be sure you have two or three really great pictures of every item you offer. Illustrations of how your product is different from your competitors or how to use it properly can find their way onto boards dedicated to anything from favorite products to how-to boards. Another way to increase the chances that someone will pin your photos to their Pinterest board is to install the popular “Pin It” button on your website. This is a quick, painless way to remind people who visit your company website that they can share their enthusiasm with just a click of the mouse. 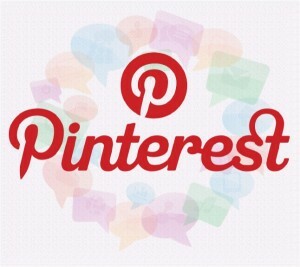 You can find directions for adding the “Pin It” button to your site in Pinterest’s Help section. In order to gain plenty of followers who check out your pins, be sure you mix things up a bit. Sure, you want to post lots of images from your own website, but you don’t want your boards to scream, “We’re selling our stuff!” Post images from other websites that would be of interest to your own customers so that they feel you’re actually helping them, not just trying to convince them to make a purchase. Do you sell exercise equipment? Post pictures of exercise routines or the latest fitness wear as well as photos of your free weights and medicine balls. You can make it even easier than the “Pin It” button for website visitors if you have “rich pin” codes added to your site for movies, products, or recipes. Design & Promote can add these to your images so that your brand logo is included and it’s even simpler to click through to your website from your boards. At Design & Promote, we can walk you through the entire process and help maximize your results. So if you aren’t on Pinterest yet, what are you waiting for? Contact us today at https://www.designandpromote.com/contact/!